Home Insurance Does car insurance cover repairs? Hello, everyone, and welcome to another episode of the Murray Group Mailbag. My name is Ryan Hanley. I'm the director of marketing and sales here for the Murray Group Insurance Services. And our Mailbag feature is very simple and straightforward. People ask us questions every day about insurance and insurance-related products and we felt that it was our obligation to answer those questions and share them with anyone who had the same question and who was looking for that answer. Today's question come from Tim and Tim lives in Castleton, New York, which is in southern Rensselaer County. And Tim's question is, "Does car insurance cover repairs?" Tough question to answer with a very direct answer, just because really there's a lot of ways we can go with this, so Tim I'm going to answer the question the best way I can. Does it cover repairs? If we're talking about repairs to another car, so you get into an accident and you're at fault if you have liability up to the limit of the liability that you have on your car, then your auto insurance is gonna pay for the repairs to that car or whatever you damage. You run into a telephone, for the limit of the liability that you have on that policy, your insurance will pay for those repairs if you are at fault. 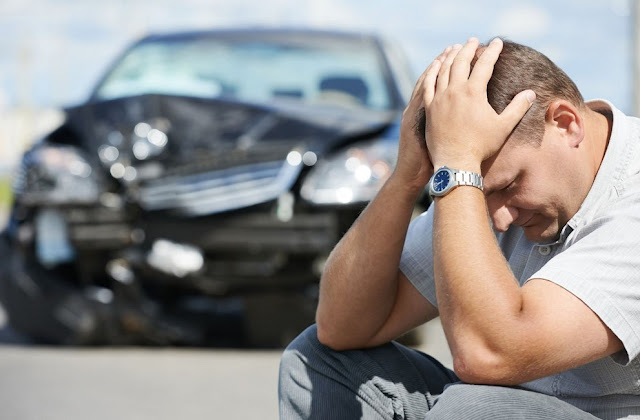 If you're talking about repairs to your own car, then you actually need to add comprehensive, which is also known as then collision and or collision coverage which are two physical damage coverages to your auto policy. So a basic policy very basic policy is not going to cover repairs to your own car. If you, say, spin off the road and hit a tree and no one else is involved. If you just have a basic auto insurance policy then damage to your car, repairs to your car are not going to be covered. So if you do want those repairs to be made and covered, then you need to make sure that you you've added comprehensive and collision coverage, two separate coverages to your policy. Comprehensive is also known as other than collision coverage, depending on the company, but same exact thing, just different names. You can have comp and not collision, but if you want collision, you also need to have comp, and they both cover different things which I won't get into in this video because I want to keep it short, but so you make sure that if you want repairs covered for your own car, then you're gonna add comp and collision to your auto policy and then in most cases repairs will be made.